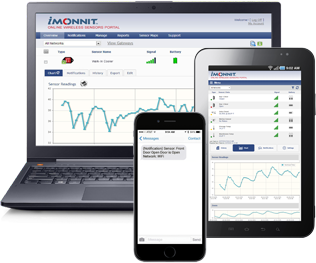 Heating and Cooling System Temperature Monitoring | Monnit Corp.
for Remotely Monitoring HVAC Systems! 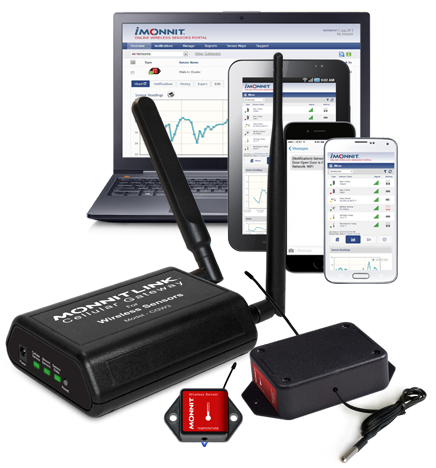 with real-time alerts if something is wrong! Keeping temperatures in your building comfortable can sometimes put your heating and cooling systems to the ultimate test. Often, these systems are taken for granted, assuming they will work without any problems. Unfortunately, heating and cooling units are constantly at risk and can be costly to repair if failures are not caught in time. Luckily that is where Monnit can help! Our networks provide a solution for monitoring multiple aspects of your facilities HVAC systems and will alert you of any issues in real-time.